Clues in the Search for Atlantis Come With Numbers 5 and 6. The story of Atlantis comes to us from Timaeus, a Socratic dialogue, written in about 360 B.C. by Plato. In Timaeus 5 and 6 are featured as follows: People were gathered every 5th and 6th years alternately: Thus giving equal honor to odd and even numbers. The gathering of the population was for judgement and atonement. Music had a place of honor in the distant past. Harmonious music vibrates in whole number ratios. Plato, in his Republic, required it to be mandatory study until the age of 30. Five and Six were unified by a Neolithic measure called megalithic yard. It is 2.72 feet. Professor A. Thom of Oxford University discovered it in the late 1960’s. It’s use was worldwide. Below is the formula for the measure. The product below was then taken as feet. The 12 inch foot is of great antiquity. It is not an anachronism, The cubic inch of gold was a standard unit of weight in Sumeria, Babylon and Greece. Examples can currently be found at the British Museum. A cube has 12 edges. Thus, 12 edges x 1 inch = 1 foot. Very important: note how 5 and 6 alternate in the formulas below. This gives equal honor to odd and even numbers. Six is obvious. It is the 6-pointed Star of David on the flag is Israel. Finding the 5 involves gematria. This is a word that expresses the total unity the numbers and letters once had. There were no separate letter and number systems. Israel in Hebrew translates to 541 (יִשְׂרָאֵל). One (1) was often added to words for the presence of God. The tradition was called colel. How does that relate to number five? A pentagon (five-sided, plane geometrical figure) has 540 degreees. The the 540 defines the pentagon’s five sides. Again, odd and even numbers are given honor equally. This is through the pentagon that expressed Israel and hexagon that is formed its Star of David. Units of measure in the past had longer and shorter values. The example of ratio of 175 to 176 ratio of measure was almost universal. John Michell gives examples in his New View Over Atlantis. Here’s the connection of the hunab with 5 and 6: (6 x 6 x 6) + (5 x 5 x 5) = 341. That figure, as 3.41 feet for the hunab, is within 98.7% of the value of the shorter hunab. It is based on the 175 ratio of 3.456 feet. Some units of measure even had three expressions: Such was the Egyptian cubit. The longer was 1.728 feet, A middle sized one was 1.72 feet. The shorter Egyptian cubit was 1.81818…feet. The longer Egyptian cubit was 1.728 feet.It was expressed through the two feature numbers: 6 x 6 x 6 feet/ 5 x 5 x 5 feet = 1.728 feet. Conclusion: Consecutive whole numbers are a great part of harmony. And, 5 and 6 were brought together in harmonious measurement. Harmonious numbers, interacting in such low whole number ratios, produce beautiful sounds. 2:1 is the octave, 2:3 , is the fifth, 3:4 was the fourth. 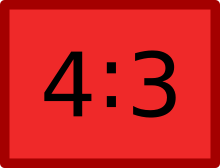 4:5 was the third. It’s time to place harmonious ratios back into civilization: Be it through music, art, and architecture. Hopefully, it will rub off on us. Now let’s look at inverted numbers. If someone is adding an entire column of numbers in a ledger, once in a while the digits in any one number might be mistakenly reversed. For example, instead of writing 189, you write 198; or instead of writing 235, you write 532. This act is comparable to inverting or reversing musical tones. If what you expected the total to be, as opposed to what it is, differs by a multiple of nine, then you inverted or reversed the digits of the numbers in the manner that I have just demonstrated. Here is the proof: 198-189 = 9. With the second example, 532 – 235 = 297 When you divide 297 by 9, the quotient is 33. Let’s take a larger number: When you record 23,572 as 32,572 the difference is 9,000. That is also a multiple of nine. In conclusion, since math and music are virtually twins, to study one without the other is like separating these twins, How sad! The study of mathematics must be complemented by the study of music. Every child in school should be given the opportunity to learn music through piano lessons or musical programs at school. The point I made above is amply demonstrated by Albert Einstein; a great mathematician who played the violin. The fictional detective genius sleuth, Sherlock Holmes, also played the violin. Arthur Conan Doyle realized the importance of music and how it is a part of superior intellect. One more word on the rule by 9’s. In the highest court of our land, the Supreme Court, we also have a rule by nine. The founding fathers of America were also brilliant. Albert Einstein is the prototype of the musical mathematician. He played the violin. In his writings he discusses how one the the best moments of his life was one he received a good review by a music critic for playing .